Transitional Small Business Disclosure Format (check one): Yes / / No /X/. The  accompanying  notes  are an  integral  part of  these  condensed  financial statements. 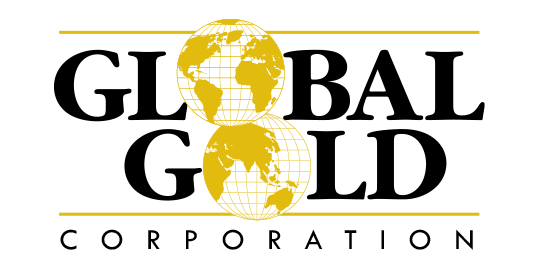 operations as Global Gold Corporation, through March 31, 2003.
and lending  institutions  interested in financing the Company's  projects. January 1, 1995 through March 31, 2003 on its 10-QSB as  originally  filed. cumulative net loss as previously reported. fees, legal costs, and other costs incurred in acquiring properties. assigned a pro rata portion of the unamortized acquisition costs. contracts  entered into after June 30, 2003. The adoption of SFAS No. compliance with the requirements of SFAS 150.
issued under the 1995 Stock Option Plan as of March 31, 2003. At March 31, 2003, the Company had two stock-based employee  compensation plans. The Company  entered into four-year  Employment  Agreements with each of Messrs.
bonus  compensation  under a bonus plan as determined by the Board of Directors. compensation to each officer for the year ended December 31, 2002.
net proceeds of $7,240 resulting in a gain on the sale of $3,963. shares for net proceeds of $16,875 resulting in a gain of $9,289. been consummated as of the date hereof). not yet been consummated as of the date hereof). mine acquisition costs at March 31, 2003.
other entity which may hold rights to such mine. as of March 31, 3002.
share for payment of a prior payable of $25,000 for legal services. value of $0.25 as determined by the Board of Directors. various disclosures elsewhere in this Form 10-QSB/A. to the property, subject to the above royalty obligation. may hold rights to such mine. $7,760 and travel expenses of $3,320 due to project development. The Company expects to hire one additional full-time employee in 2003.
as of March 31, 2003. Company issued such securities in reliance upon Section 4(2) of the Act. Section 4(2) of the Act. dated as of February 1, 2003.
terminated as otherwise provided herein. payable on June 30, 2006. 12-month period to 1,200 hours. within 30 days after the occurrence of a Change of Control. "Exchange Act") or persons acting in concert (other than Drury J.
affiliates) become the "beneficial owner" or "beneficial  owners"
Corporation's securities immediately before such transaction. arbitration of the termination of his employment hereunder. provided to the Employee, if any. (f)  Continued   Maintenance   of  Benefit  Plans  in  Certain  Cases. substitute benefits for the Employee. customers or methods of distribution. the Corporation is a party. over the Benefits to the Corporation. remedies available to the Corporation at law or in equity. each party hereto at the address set forth herein. number  (212)-681-0845;  and  if to  the  Employee,  Mr.  Van  Z.
giving  notice to the other party stating his or its new address. permitted to be given pursuant to this Agreement. shall include the masculine, feminine and neuter. and 100% vested, respectively, in the Shares granted hereunder. vested in you, without any payment by the Company therefore. and successors and, in the case of the Company, its assigns. you under such a contract or otherwise. persons  acting  in  concert  (other  than  Drury J.  Gallagher,  Robert A.
physician selected by the Board of Directors of the Company. enclosed copy of this letter at the bottom and return it to us.